Willowbrook Foods ensures the best quality products are sourced 365 days per year. With our technical and procurement team visiting our suppliers on frequent basis monitoring crop reports. 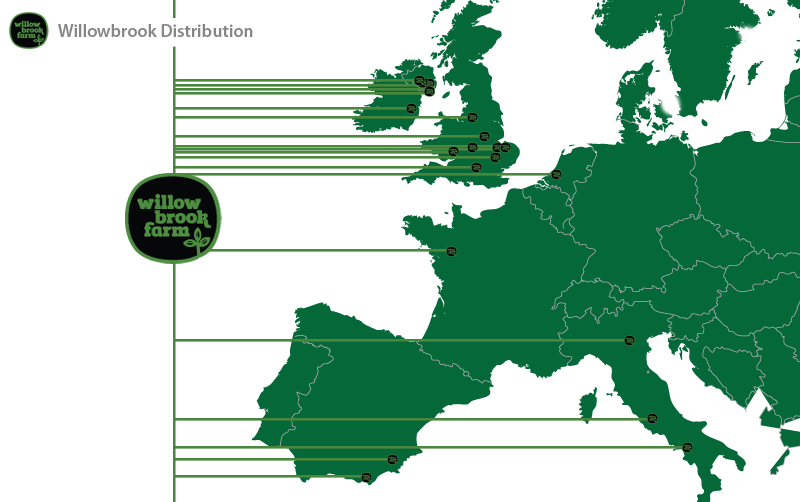 We have long-standing relationships with our key growers and suppliers, in Ireland, the UK and Europe. Our growers and suppliers are able to supply conventional ingredients as well as organic components. Our efficient supply chain and the latest production scheduling tools, combined with a flexible seven day shift pattern, give us the flexibility to react quickly to orders with short lead times.